Burundi Senate organized a plenary session to analyze the recent resolution adopted by the EU parliament on the situation prevailing in Burundi. It has accused Burundi government of advocating impunity. Senators say offenders are sanctioned according to the law. In its resolution adopted on 6 July, the EU Parliament expressed its concern about the widespread impunity, particularly with regard to acts of violence and violations of human rights and their perpetrators. It recalls that Burundian officials have an obligation under international and regional human rights law to guarantee, protect and promote fundamental rights, including the civil and political rights of citizens. 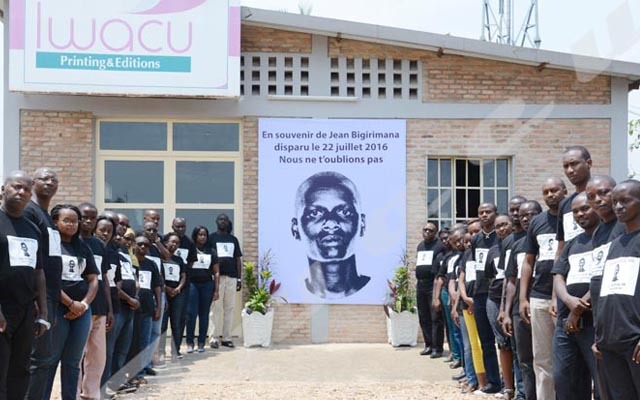 The EU calls for a thorough and independent investigation into the killings and abuses that have been committed in Burundi in recent years and demands that the perpetrators of those crimes be brought before justice. During the plenary session organized on 1 August, Senators have said some agents of security forces and justice have already faced justice. Senator Salvator Bigirimana accused the EU parliament of working on false information. He said the government has imposed sanctions on perpetrators of crimes committed since 26 April 2015 in order to fight against terrorism and human trafficking. “The Criminal Investigation Department of the Public Prosecutor’s Office has already filed 10,702 complaints among which 8,201 have been submitted to justice”, he said. Senate Bigirimana also said 21 judges have been dismissed, 19 suspended and nine others detained for corruption and iniquity. Since April 2015, 126 police officers have been also dismissed from their duties and 43 others convicted and detained for serious crimes. The collective of lawyers defending the victims of 2015 crisis says 800 complaints have been filed to the Chief Prosecutor of the ICC since the crisis began in April 2015. Human rights activists say more than 2,000 people have been killed, more than 8,000 imprisoned and thousands more forced into exile fearing for their security. However, Jean Baptiste Baribonekeza, the chairman of the National commission for Human Rights has recently said that there are no international crimes that have been committed in Burundi between 2015 and 2017. Meanwhile, the ICC has already opened a preliminary inquiry into war crimes and crimes against humanity perpetrated in Burundi in April 2015. He said that the national judicial system is sufficiently equipped to deal with the current situation in Burundi and the intervention of the ICC is not necessary.